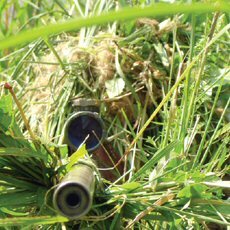 Using the same principles of camouflage, snipers wrap their rifles in canvas and create little sleeves that make them blend into the environment. 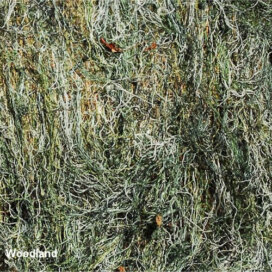 Ghillie suits are basically old military uniforms that snipers modify for their special purpose. The belly of the uniform is reinforced with heavy canvas to help pad a sniper’s torso during hours or days of lying on his stomach. Camouflage netting is attached to the uniform. 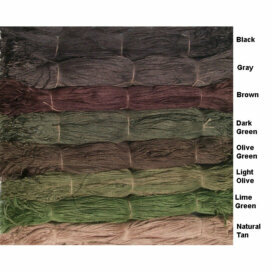 This netting is used to attach shredded burlap and other frayed materials. 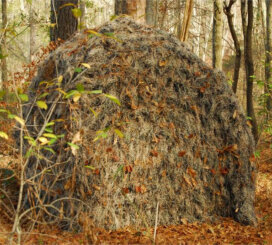 Ghillie suits are usually painted to match the environment of the battlefield. 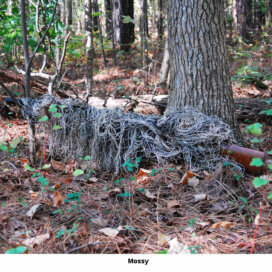 Local elements like twigs, vines, and branches can be incorporated into the netting to further camouflage the ghillie suit.